The global economic drought doesn't seem to be drying up demand for fashion goods as the stocks of leading apparel and accessories makers like Ralph Lauren, Fossil, Fifth & Pacific Companies, Michael Kors and Movado reach record levels. In Australia, an invasion of the global brands continues to take place with Spanish giant Zara and British high-street Topshop, followed by US fashion chains like Abercrombie & Fitch and Gap, and Japanese ready-to-wear chain Uniqlo and Swedish fast-fashion retailer H&M. ACMI's Go Clobal Film for the Melbourne Spring Fashion Week (MSFW) comes at an opportune time, not only to move the fashion firmament of Lionel's Melbourne beyond City Square, Exhibitions, Emerging Designers, the Business Series and the 4 Faces of MSFW, but to cast additional light on the big global brands taking over the fashion world. Donna Hillier of ACMI and I chatted about the Australian premiere of French director Olivier Nicklaus' Go Global which examines the evolution and revolution of fashion in the 21st century where catwalk shows have become television hits and global retailing has made big brands that survived the 80s and 90s even more accessible and available to consumers. 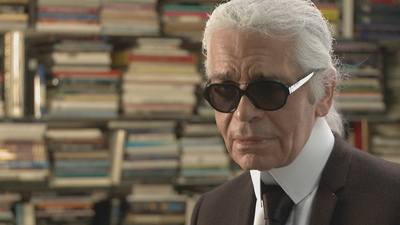 The film examines the rise of global fashion icons like Karl Lagerfeld at Chanel, Alexander McQueen at Givenchy, Marc Jacobs at Louis Vutton, Muccia at Prada, Tom Ford at Gucci and John Galliano at Dior as well as their collections. With tickets at only AUD15, ACMI offers a moving picture of fashion that will provide rare insights into the mind of the global fashion brands and add another layer of fashion-driven excitement to MSFW.